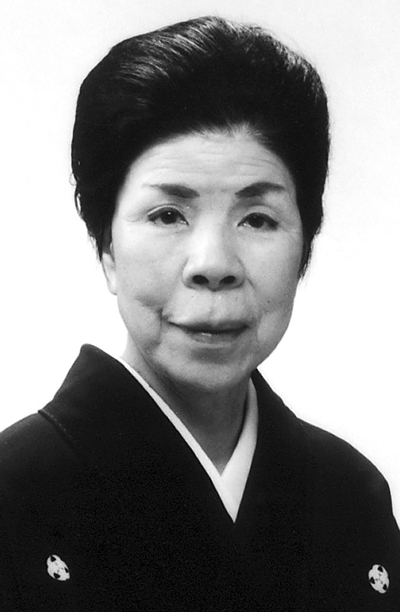 Classical Japanese dance instructor Mitsuhiro Bando (Kiyoko Taniguchi) passed away on Aug. 2. She was 88. Mitsuhiro Bando’s love for the art of Japanese classical dance came from the heart. Young, old, Japanese-speaking or non-Japanese speaking; she has instructed all with compassion. With only a few words in English, it was amazing how she would teach those who didn’t understand Japanese what to do. Born in Yatahama City, Ehime Prefecture, she began taking Japanese classical lessons at the age of four. Later in her studies, she studied under the late Bando Mitsugoro VIII, who was recognized as a National Living Treasure in Japan. She successfully taught Japanese dance for 20 years in Japan. She visited relatives in Los Angeles, and saw Japanese dance performance at a kenjinkai (Japanese prefectural association) picnic. This and the milder climate inspired her to move to the U.S. permanently in 1969 to teach Japanese dance. Her dream was to spread Japanese dance, and she taught in Los Angeles, San Diego, Vista, Santa Monica, Huntington Beach, Monterey, Tacoma, Wash., Colorado, and Arizona. She was fortunate to have her students perform in various cities and sites such as Disneyland, Torrance Bunka Sai Japanese Cultural Festival and Japan America Theatre. For more than 40 years, and on a rotating basis, Madame Mitsuhiro choreographed the Nisei Week Festival parade dances with other dance instructors, her most recent experience alongside the L.A. Bando Ryu Group in 2014. She was awarded the 2006 Woman of the Year by the Downtown Los Angeles Chapter of the Japanese American Citizens’ League and the Japanese Women’s Society. She was selected as one of the 2008 Nisei Week Pioneers. She had the privilege of seeing more than 25 of her students receive their Natori (stage name) and more than 12 receive their Shihan title (teaching certificate). As recently as a few years ago, she was able to accompany two of her students to take master classes from Bando Mitsugoro X. Before her failing health, she was able to share in the joy of having these two students receive their Shihan title. A public memorial service, sponsored by Bando Mitsuhiro Kai, will be held on Saturday, Sept. 17, at 2 p.m. at Konko Church of Gardena, 15722 S. Normandie Ave., Gardena, CA 90247. For questions, contact president Bando Hirokogiku at (714) 655-0354 or [email protected]. In the memory of the late Madame Mitsuhiro Bando, Mitsuhiro Kai will continue in the memory of Oshisho-san.